To register for the conference. Please download and return the Completed Full Registration Packet. Wondering what to bring to conference? Need a conference map? A quick agenda? Click here for all of that information and more! 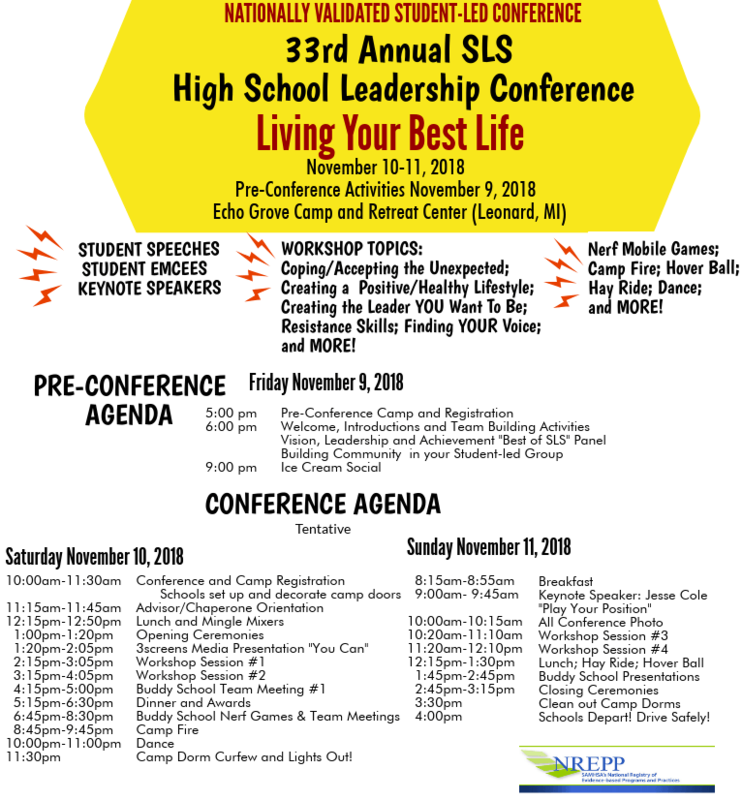 The 33rd Annual SLS High School Leadership Conference – Living Your Best Life – is hosted by the Student Advisory Board (SAB). We believe in giving students opportunities to lead their peers. SAB Members are trained by SLS to teach prevention skills, driving safety, peer leadership, life skills, and how to engage in community service to their peers and younger students. The Student Advisory Board creates workshops, speeches, activities and much more to present at the conference. 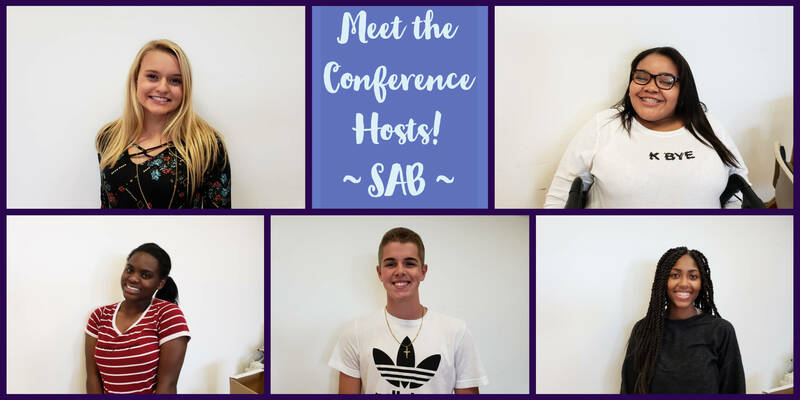 The SAB help to plan every part of conference, from food selection, music, speakers, presenters, opening and closing ceremonies and more. For more information on how to be apart of the next Student Advisory Board click here! Applications will be available at conference. Jesse Cole is an author, leadership & empowerment coach, and acclaimed speaker. A former college basketball player turned educator, he is best known for his ability to weave together practical stories with transformational principles. Play Your Position: Will You Still Lead When No One Is Cheering You On? Young, Hungry, Ambitious: Imagine What Could Happen If You Decided to Be the Leader You Were Created to Be. “You Can” is a 3-Screen Media Presentation that discovers how You Can do more harm to yourself and others more quickly than ever before, or You Can use the same things to help and heal. Presentation focuses on: Using the Internet and Social Media in Positive Ways, Overcoming Obstacles to Happiness, Impaired Driving, Revealing Character, Responding to Bullying.